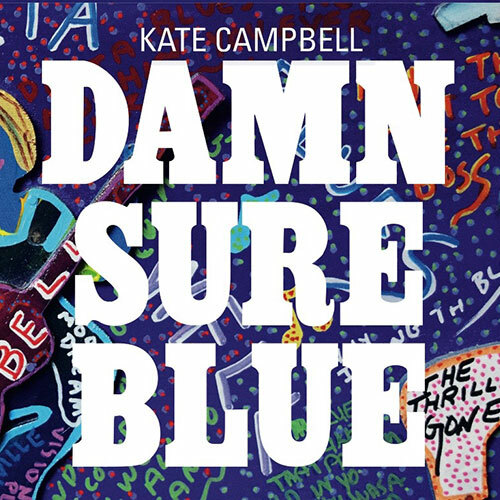 A new CD by Kate titled Damn Sure Blue will be available sometime late spring. Recorded by Will Kimbrough at Kimbrough Super Service with additional recording by Robert Lucas at Barefoot Jerry’s Cinderella Sound Studio (with special thanks to Wayne Moss) and mixed by Todd Robbins in Nashville, Damn Sure Blue features a cast of stellar musicians including Will Kimbrough (guitars, bass, mandolin, banjo, mandola, keyboards, percussion and harmony vocals), Chris Carmichael (violin, viola, and cello), Dave Jacques (upright bass), Bryan Owings (drums and percussion), Kevin Gordon (guitars and harmony vocals), Phil Madeira (accordion), and Kate (piano and acoustic guitar). Samantics presents In Paradisum, a World Premiere Performance of a new work by Sam Schieber with 35 voices of Samantics Choir featuring Kate Campbell as a guest soloist. Saturday, April 16 – 7:00 p.m.
Sunday, April 17 – 4:00 p.m.
Samantics Choir, and well-known soloists drawn from Sacramento, the Bay area, Nashville and D.C., will premiere an original choral work composed by Sam Schieber, Director of Samantics. Sam calls upon his lifelong experience with a wide variety of choral and solo writing to construct a work that showcases the unique talents of the Samantics Choir. True to all Samantics programs, this is guaranteed to be like no other concert experience! The score, by Samantics Director, Sam Schieber, sets texts drawn from the traditional Requiem liturgy, the Psalms and the poems of George Herbert. In keeping with the subject matter, the piece will be mostly serious—but you can also count on a few Samantics touches! The K.O.A. Tapes – ORDER NOW AT WEBSITE STORE! Basic tracks recorded on my iPhone 5 and/or 2 mics in my living room by David Henry and at other places across America. Additional recording by Ben Surratt at The Rec Room Studio in Nashville, TN. Hammond B-3 and Glockenspiel recorded at Welcome to 1979 Studio in Nashville, TN. Mixed by Ben Surratt at The Rec Room. Mastered by Hank Williams at MasterMix in Nashville, TN. Photos by Kate Campbell. Lyrics, liner notes, songwriter and publishing credits will be available on the website soon. 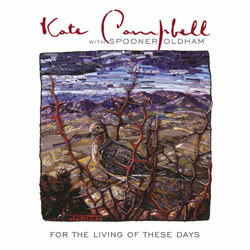 Kate Campbell Tour Poster Bundle for only $20.00! You can request Kate to sign your CDs and/or posters during the ordering process. Kate is always happy to sign posters and CDs! 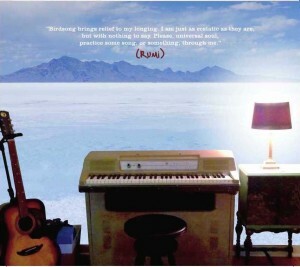 Join Kate this summer at songwriting camp. 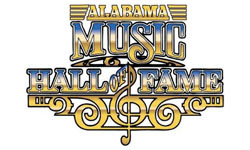 Brother Joseph and the Grotto will have its premiere screening at the Abbey Byre for the Arts on the grounds of Saint Bernard Abbey in Cullman, Alabama on October 17, 2013. Tickets are by invitation only. To check on availability, contact Cliff Vaughn (cliff@redclaypictures.com). 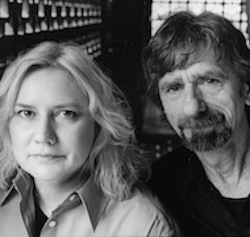 House of Mercy Recordings announces the release of Bird Songs that features 15 different artists and includes classics like “The Great Speckled Bird” and “His Eye is on the Sparrow.” Kate recorded her original song “Hope’s too Hard” in Nashville with David Henry who played cello on the tune. The CD is a musical companion to Debbi Blue’s book titled Consider the Birds and is available at iTunes. An Evening with Kate Campbell at the Bluebird Cafe in Nashville on Friday, March 1st. Reservations for this show can be made on-line at the Bluebird Cafe website on February 25th beginning at 8:00 am central standard time. Don’t delay in making reservations for this show. Bluebird Cafe shows can sell out in a matter of seconds. Therefore, it is best to create an account with the Bluebird online BEFORE february 25th!